bald eagle patient back into the wild. Our final guest blogger to help us celebrate International Migratory Bird Day is Zoë Plaats, a veterinary student from the Netherlands’ Utrecht University. 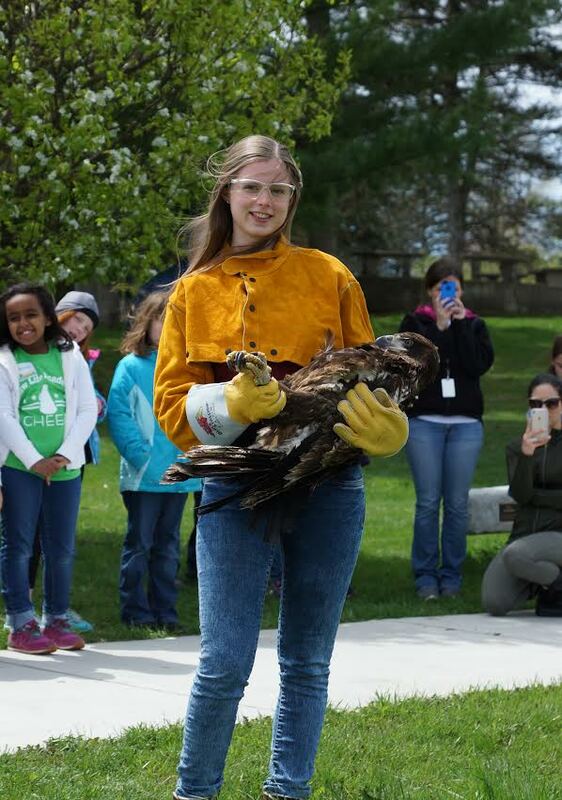 She just finished a three-month research project at TRC to correlate blood lead levels with traumatic injuries in bald eagles. We thank her for her contributions to understanding connections with birds, humans and the environment we share, and look forward to staying in touch. “A day in which you can make a difference for migrating birds across the country; how exciting! As a master veterinary student from Utrecht (the Netherlands) international migratory bird day is something new to me. The Netherlands is the final destination for most migrating birds we see over there so helping the birds during their migration is usually not necessary. To make up for that we have different national bird events to keep track of the birds or to help them out such as a national backyard bird count or providing additional food sources especially during fall and winter time. Educational demonstrations of raptors specific to raise awareness for them are also given in different places in the Netherlands, however they are not as big as the program here at The Raptor Center! Now to come back on migratory bird day, I must say that it makes me very excited that such an international event for helping birds exists! It is a great thing to realize that everyone no matter what age is capable of helping birds even with just small amounts of effort, which this day is actually all about. Providing additional resources at stopover sites can make a huge difference for migrating birds, so make sure to look into that! It is really exciting to see everyone contributing to this and that together we can make their long journey a bit easier. Isn’t it great to realize that you made a difference for an animal? Personally I think birds have amazed all of us at least once in our life. Imagine the first time you saw a bird up close as a child and watch it fly away high in the sky; maybe making you even wonder what it would be like to be able to fly yourself. My own interest in birds started when I was around 7 years old and was helping my father, who worked as a falconer back then, during demonstrations. It is really amazing to see how different they are compared to us mammals and how fascinating each of them look; either bright colored or barely noticeable in between the trees. I must admit that their ability to fly still amazes me the most.